The material on this page will introduce you to some of the mysteries of Crimea and the Black Sea. The secrets, legends and mysteries of the Black Sea, I hope, will not leave indifferent any of the visitors to my site. There are no video or pictures on this page, so I hope you’’ll have the patience to read the whole text on the page (it’s worth it). From the material presented below you will learn more about the mysteries of the Crimea and the mysteries of the Black Sea. Over the centuries, the local population has passed through word of mouth, true stories of amazing encounters with mysterious, unknown creatures, very similar to the Dragons of fairy tales. But given their exceptional rarity and few direct witnesses, more often the veracity of such meetings was accepted with doubt. Let’s start with the widely known for the visitors of my site (at least in my opinion), mention of the so-called Nessie from the Black Sea, which now becomes evident, that scientists are gradually starting to be very interested in the Karagadskia phenomenon. In the «University description of Crimea» published in 1875, the author H. Kondaraki reported that in 1828, the chief of Police in Evpatoria (resort town on the Crimean peninsula) in a written report reflected the emergence in the area of a huge snake with the «rabbit head and the likeness of a mane. «The serpent attacked the sheep and sucked their blood. Local shepherds killed two such snakes. The writer Stanislav Slavic, narrated in the words of eyewitnesses, for a meeting with a huge serpent on Cape Kazantip (Kerch Peninsula): «A shepherd noticed beneath a thorn bush, something brilliant, as skull polished by the rains and winds, and just so, hit the skull with a stick. And suddenly something amazing happened, erupted a kind of silent explosion: The thorn bush flew away, ripped through the root, raised a cloud of dust, and in all directions, pieces of mud were flown. The shepherd froze. He saw only a cloud of dust and in it, literally rabid, his shepherd dogs and something huge, which moved with monstrous speed and power. When he came to see himself one dog was dead, and the surviving two tore apart the body of some giant reptile. Maria Stepanovna Volosina recalled, that in 1921 in the local newspaper of Feodosia a note was printed, in which it was said that «huge animal» appeared in the region of Mount Kara-Dag, hunting for which was sent a company of Red Army soldiers. Further information about the fate of «the animal» was not given. Maximilian Volosin sent the clippings from the newspaper to Mikhail Bulgakov and this story was taken for his novel «The Eggs Of Rokov», which preceded the famous film Jurassic Park. By the way, unusual eggs were also found in the Crimea, as the journalist Vladimir Kukovanin tells. The historian Larin made an astonishing discovery in 1996, near Sevastopol, on Cape Aya. A splintered egg clearly showed a germ of an unusual animal: a head, a short front poultice with five fingernails and evenly growing teeth in the shape comb along the spine. The size of the eggs was up to 20 cm and the weight was about 10 kilograms. The most complete description of the observation over «the most fantastic of the fantastic» has left the writer Vsevolod Ivanov. This narrative is included in his medley «From The Diary and book notes». Koktebel, 14 May 1952, in search of a colored stones Ivanov descended into the Serdolikovskia Bay of Kara-Dag. After he bathed and fed, he decided to rest. He climbed up and began to observe how the dolphins hunted the mullet: «I turned my eyes straight and suddenly in the middle of the bay, about 50 meters from the coast, I noticed a huge stone, about 10-15 meters in diameter, overgrown with brown algae. Many times I have been to Koktebel and every time I have visited Serdolikovskia Bay several times. The bay is not shallow, the deep starts about 10 feet from the shore, but such a stone in the middle of the bay I do not remember. From me to the stone, there were about 200 meters. I wasn’t wearing binoculars with me. I couldn’t take a good look at the stone. Was that a rock? I drew back, looked through a branch and noticed that the stone visibly tilted forward. So this wasn’t a rock. … Shacked all over, stood on my feet and sat down again, like I was afraid I could scare «that thing» if I was standing. I looked at the watch. It was 12.15 in the daytime. It was absolute silence, behind me the birds were chirping and my pipe was smoking heavily. The orb unfold. Stretch. I was still wondering if these were algae until the «thing» started moving against the tide. This creature with wavy movements swam towards the place where the dolphins were. I couldn’t see well because of the great distance and shine of the sun on the water. But the water was transparent. The monster was big, very big, about 25-30 meters. He swam at about a half, up to a meter underwater, and seemed flat. Its lower part was apparently white, as far as I could see from the blue of the water and the upper part was dark brown, which made me think about algae. I was one of the few people who was judged to see this monster. Our education, which does not prepare us for the emergence of miracles, has immediately hindered me. After all, I thought, hell, I’m hallucinating! I’m going to keep looking. The monster twisted his body like water snakes do and at average velocity swam towards the dolphins. They hid immediately. And the most amazing thing is that things are not limited to stories! Thanks to the popular articles of Academician Snukov, became known facts, published for the first time by former director of Karadagskia affiliate of the Institute of Biology of the Southern Seas Peter Semenkov, in the first issue of Geological Magazine for 1994. Petar Grigorevich says: «On December 7, 1990, our fishing brigade went out into the sea to check the nets set for catching Black Sea slope. The fishermen arrived about 12 at noon and started to pull the net out. After 150 meters, the net turned out to be torn. Along with the torn edge, a dolphin with dimensions of about 230 cm, whose tail was tangled in the net, was brought to the surface. As they dragged the dolphin to the bow, the fishermen noticed that the dolphin’s belly was missing. The bite was in the shape of an arc, about a meter long. There were clearly distinct traces of teeth at the edges. The size of these traces was about 40 millimeters. The distance between the tracks around 15-20 millimeters. Along the bite lenght there were a total of 16 such traces. The dolphin’s belly was bitten along with the ribs, so the spine was clearly visible. In the area of the head there were remnants of his lungs, of which blood flows in the lift. The teeth marks were clearly visible from both sides and were symmetrically arranged. The dolphin’s head was severely deformed, crushed evenly by all sides, as if they were trying to spend it through a narrow opening. Eyes were not visible and the deformed part had a whitish colorq reminiscent of the color of fish taken from the stomach of another fish. The dolphin appearance caused a strong panic among fishermen. One of them cut the net, the dolphin fell into the sea and the fishermen at full speed sailed home. I saw the fishermen immediately after their return from the sea, I asked in detail about what happened and by their narrative artist made a sketch of the dolphin they saw. In the spring of 1991, fishermen brought another dolphin with similar traces of teeth on the body. It was a specie about a half a meter. They had it removed from a net that was placed roughly in the same location as on December 7, 1990, and this time the net was torn apart, and almost the entire dolphin was tangled in the net, wrapped like a puppet, and only the head was visible. On the head of the animal were clearly distinguishable traces of three teeth. In appearance they looked exactly like the traces of teeth on the body of the previous dolphin. This dolphin was placed in a refrigerator. I began to turn to various specialists on the traces found on the bodies of marine mammals to examine the dolphin. Unfortunately, no one could come. And after a while, there was an accident and everything that was in the fridge was lost, including the dolphin. «Most of my colleagues have rejected the hypothesis that the dolphins death and the source of traces on their bodies is caused by some kind of living thing. Many scientists have suggested that the animals encountered some sort of technical device, such as a propeller or a torpedo. Unwillingly you remember the legendary monster that supposedly lives in the Black Sea! There are many historical facts and testimonies of eyewitnesses meeting him, on land and in water off the coast of Crimea. I have not set myself the task of classifying all information about the sea serpent. But it should be acknowledged that the fact of the death of the two dolphins and the traces on their bodies were actually recorded coinciding with the information about the size of the Crimean monster. The narrative by Petar Semenkov substantially complements the collected by academician Eugene Snukov testimonies of people who have seen the enigmatic creature. The correspondent of «Sudakski newspaper» A. N. Ovcinikov, about 15 years ago, observed snake-like creature in the sea, from the 20-meter height of Cape Francuzenka. The Dolphins hid in panic when this snake emerges. According to Alexander Nikolayevich’s data, back in the thirties, a fisherman from Kucuk-lambata (formerly Small Beacon) collided with the serpent. He was saved by other fisherman, but the man was paralyzed and died a month later. «Doggy head,» he said before he died. That’s what the son of the dead sailor told Ovcinikov. Belski, responsible officer of the Executive committee of the Feodoskia municipal Council, on 12 August 1992, about 3-4 o clock in the afternoon, bathed in the bay on the east coast of Cape Kiik – Atlama. Belski was a good swimmer and easily deflated about 40 meters from the shore. The depth of the water reached four meters. He turned and he saw a head of a snake at about 30 meters distance. A huge head with a size of about half a meter; The neck was thinner – about 30 centimeters. The beast dived towards the swimmer. Vladimir Mikhailovich moved quickly sideways, and on the sea-jutting rocks he jumped ashore and hid behind the stones. After a moment in the place where he was, appeared the head of the monster. Vladimir Mikhailovich saw it clearly, even managed to look at the skin and the horned tiles on his head and neck. The overall feeling was creepy. In the words of Belski, a year before his encounter with the monster, in this region died from heart attack a healthy, young man, member of the arm forces, a master of sport in swimming, who always bathed there. «However, it is evidently premature to talk about an existence of some kind of monster in the sea, near the shores of Crimea,» wrote academician Evgeni Snukov. The meetings are too rare and random, it is not clear where these monsters inhabit, there are no paleontological leftovers and so on. As a matter of fact, the material evidence is just the carcasses of the killed dolphins. But it can also be challenged. Could it really be the cause of a propeller on a ship or some kind of underwater device? 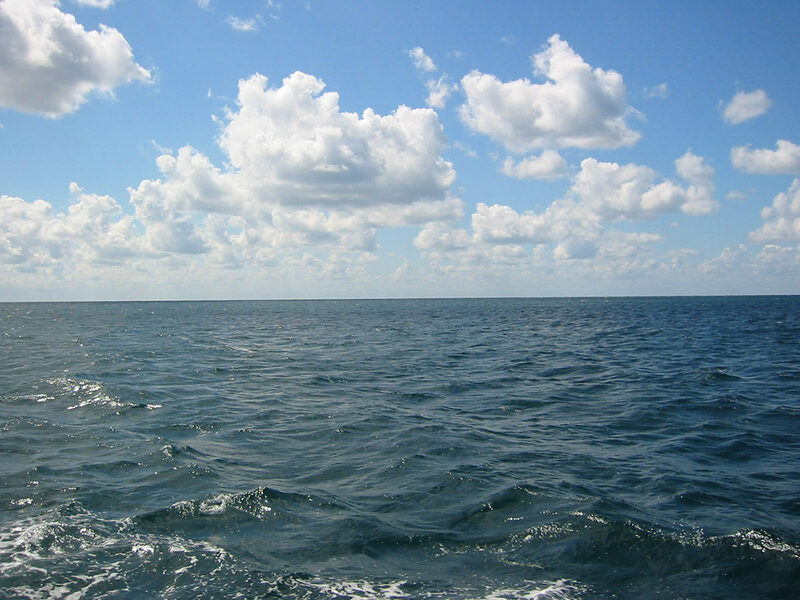 Therefore, P. G. Semenkov considers it necessary to organize a special expedition to study all the facts collected, explore the sea in Kara-Dag and surrounding areas, with the help of manned underwater equipment and acoustic devices.